I’ve always wanted to play tennis. I could play badminton and squash. Tennis has always been a struggle. Somehow the strokes just don’t fit. I end up picking up tennis balls all the time. Its just frustrating. Naturally, I decided to learn online. I googled learn and play tennis and found a great website review. The notes were short and brief. Nothing lengthy, enough to give me what I need to know. If I’m gonna be serious into tennis playing, I have to buckle up and learn. Play better tennis ? Well, I can’t even stroke right ! I mean, how much would a tennis coach charge me if I were to take up lessons ? Easily RM100 per lesson ? What would one lesson do me any good ? I read on the review. It lead to another webpage with further details. With full anticipation, I pondered for a moment the price of the instructional video. Making a purchase online ? I can’t decide. What should I do ? “Don’t wait to buy land. Buy land and wait” – One maybe familiar with this quote, if you have knowledge in the land banking industry. Indeed, the most precious thing on earth is earth itself. It is perplexing how anyone can be so obsessed with the land banking concept to the extend to be selling land in another planet. When I say anyone, I am referring to the folks in LunarLand. It troubles me even more when the Lunar Embassy receives an acknowledgment from the US Congress for being a valid Lunar company selling Moon property. If this is deemed outrageous, what do you say to those who have bought the Lunar land ? To date, there’s 2 million people from 176 countries around the world whom have purchased extraterrestrial property. Yes, you read it right, 2 million people, that is 2 million people who has too much money to spare and have no better ways to spend it, so they decided to buy land in a place where they will never get to go and use in this lifetime ! Check out the facts from LunarLand. Buying land in the moon started in 1980 and this business has grown for more than 20 years. A sound company for sustaining that long, I must give my hats off. Quoted from the website on the purchase agreement, “LunarLandOwner.com offers a 60 day money back guarantee if you are not completely satisfied with your purchase.” Imagine this, you buy a plot of land in the moon and within the first 30 days, using your super power telescope, you discover a small hole in the moon and you may think, “Oh, no ! The value may depreciate since there’s a hole in it, so I better get a refund.” Ok, my imagination is running wild on the possible reasons why you may not be completely satisfied with the purchase of land on the moon. On the hindsight, I must salute LunarLand for being the first and only company to possess a legal basis and copyright for the sale of celestial properties. It’s surely a dominating and non-competitive market for such valuable service. This lunar land industry has captured the attention of the press and media such as CNN, NBC and Fox. The interview can be found here. What do you gain from the purchase of the land in the moon ? Self satisfaction. A gift for your loved one. “I love you so much, I’m giving you part of the moon” – What a declaration of love. Now, the most important bit, the price of the purchase. Own a piece of the moon for as low as $29.99. In return, you will get a land deed. Alternatively, one can opt for a higher package deal which costs at $59.99. Whats the difference ? The latter one will have your name printed on the deed and a nice little frame to go with it. Bottom line is, to me, its money down the drain but to some its sentimental value to own the moon. Priced at RM99, Osim Electric Toothbrush is a darn expensive gadget to own. I got mine free as a thank you birthday gift, a token of appreciation from HSBC credit card. Now, if it wasn’t for free, this toothbrush is not that worthy at all. Strictly value for bargain material, for RM99, I would have spent it on other necessity things. Anyhow, free things are always good. I first saw a 5 year old using an electric toothbrush early this year. That was the first time I had a close up look at the battery operated gadget. The electric toothbrush had a Princess Ariel figurine shaped as its toothbrush head. I was curious but didn’t want to prompt my friend’s daughter on her toothbrush. I silently watched her brush her teeth and wished I had an electric toothbrush. It’ll be so cool ! When I redeemed my free Osim Electric Toothbrush, I was most grateful. I examined the box that came with it. A simple, white box with Osim logo proudly labeled on it. I opened the packaged, battery not-included. I was dissapointed. I rushed to the nearest convenient store and bought 2 AA batteries. Thats all it needed, 2 AA batteries. Got home and my set of whites had its first experience. My virgin teeth set, stroked by the electric strong brush. The machine vibrated in circling motion. Its head spinning, gracing the surface of my calcium structure. I was watching myself brush my teeth. It was 3pm. I was brushing my teeth in my toilet during mid day. Luckily no one was at home. Now, it was my first time, so I don’t know how other electric toothbrush would have behaved. There’s nothing to compare it with, except my vivid stalking experience with Princess Ariel electric toothbrush. The difference as I recalled, Princess Ariel’s toothbrush head wasn’t as aggressive as Osim Electric toothbrush. It wasn’t spinning as fast and the motion was different. Sure, all heads must be the same. It vibrates in circling motion, cleans your teeth and gums. Perhaps, I was just being fussy with my tool, it seemed mine was bigger, and better. Now, if you have been to the dentist to have your set of teeth whiten, you maybe able to relate to this. A dentist uses a very similar head brush set like an electric toothbrush. As such, the battery operated machine I had seem to effortlessly perform the function I pay my dentist to do. An electric toothbrush has a precise angle to clean all the stubborn tartar and bits of leftover food stuck in between your teeth. So, again, here I am in my toilet, gazing at the rollers, brushing my teeth. Excellent view I must say. First benefit, you can witness all the yellow, sticky stuff come out from your mouth. One thing, however, I must warn new users, not to motion the electric toothbrush like how you normally handle a manual stick. You don’t need to move at all. Just hold firmly and its head will do everything. Stand straight, watch and enjoy. On the downside, this toothbrush is not for sale anymore in Malaysian market. My guess is that, OSIM stopped the production as the demand for this gadget isn’t that fantastic. Replacing the toothbrush head will be a problem. I went to several OSIM store but my effort was to no avail. I have yet to try other brand of toothbrush head replacement, I’m sure the fitting must be compatible, else it’ll be such a pity to place the electric toothbrush in the closet. I can’t complain much, the gadget was free. You can’t buy it anyway, not in Malaysia at least. 2007 is almost to coming to an end.With two months left in the calendar, I shall bid yet another 365 days farewell. Having said that, year end reminds me of Christmas. Christmas reminds me of holiday. A holiday bug has stung me, hard. My holiday spirit is stroking my pleasure bone. I am tasked with a plan. A trip planner. I slowly grow in greed as I surf my holiday options. The green eyed monster in me surfaces prominently. I could sense my fangs and horns poking its nasty way out. I hunger for my dream destination, New Zealand. My blood rushes through me as the pictures unfold on my laptop. My list for things to do in Auckland is growing longer. Reading holiday travel plans from other bloggers gives me a deep insight. A thought that manifests itself into an obsession. So much to do but yet so little time. I can’t decide if I should allocate some time for some nightlife or just focus on outdoor activities. In the midst of all the planning, I must say, I am excited. In the midst of all the options, I must say, I am confused. In the midst of all this, I must say, I will be broke. I need a holiday. A place away so I can rest my body and recuperate my soul. A sanctuary. A paradise. A sierra. Where do you have in mind? My thoughts, New Zealand. Land of “Lord of the Rings”. Land of diverse outdoor adventures. From bungee jump to moment of arts, festival of dance. The vast options for nature activities are far beyond prosaic. I’m sure, I’ll be captivated with its pulchritudinous mountains. I can imagine it, me admiring the sunrise. Me, leisurely sitting at the balcony in one of the Auckland accommodation with my cup of hot chocolate at the break of dawn. I think I can plaudit on that thought. Perhaps I should do the orthodox tourism visiting. Visit the museum or plunge myself on a tour around New Zealand. On second thoughts, following a scheduled tour with a bunch of strangers is never an affinity to me. Fly to the country and hunt for cheap hotels in New Zealand , now that sounds enticing ! Perhaps I should just rely on my prowess as a trekker. Venture into the woods with my backpack and sleeping bag. Me, alone. Just the jungle and my almighty self. My imagination is running wild on the things I could do. Without a pre-emptive itinerary, I might survive as long as I have shelter on my head, nothing fancy, I can stay in cheap hotels. I reckon the rest of the events can unfold itself when I’m there. I could squeeze myself into the stadium, watch the Waitakere World Junior Badminton Championships 2007 or sweat myself in the Adidas Auckland Marathon. Fly million miles and run my life away. This idea appeals to me. Very much. I shall look into the strategem a little deeper. Care to join me? I was only 9 years old. For a 9 year old, a birthday celebration means everything to a growing girl. Father took us out in our old four wheels. My 2 elder brothers and I sat behind the back seat while mother took the front seat. Mom was dressed in her pretty blue dress. She looked so beautiful, all dolled up for the occasion. 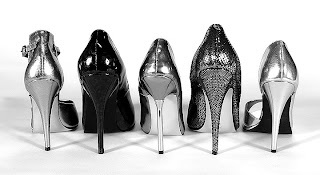 Daddy must be bringing us to some place special, as mom wore her favorite high heels. I wish I could dressed like her when I grow up. I couldn’t wait to own such exquisite things. We arrived at Section 14, Jaya Supermarket, I heard my 18 year old brother said excitedly. He seemed to know the place very well as he instructed father where to park our car. We got off our vehicle and walked for a short distance. Soon, we arrived at an ordinary looking restaurant. The door flung opened and we walked in grandly. A nice, gentle looking lady dressed in a red smart outfit approached and greeted us warmly. Her smile sparkled with her tingling eyes. She was wearing a pair of black high heels and a red suit. I wish I could dressed like her when I grow up. We were seated at a long table. As we sat down, father whispered to the red outfit lady. She glances at me and nodded with a smile. I wondered what father said to her. Not too long after that, my 21 year old manly voiced brother spoke, “Dad, we should have the steak. Friday’s have the best steak in town.” How can “a day” have food? I wanted to ask but was interrupted by my elder brother, “I want the margarita!” I was clearly annoyed. Why don’t I get a say? It’s MY birthday. I started fidgeting about, I started pulling my brother’s shirt, he who seemed occupied with the menu. As usual, everyone made their order, I was the last to voice out what I wanted. I opened the menu and my eyes met with the colorful visuals. I was mesmerized with the broad selections available. So many choices, I have to make an order, soon and quick, as all eyes were on me. I could feel my hands trembling under the table and my pulse racing. Hastily, I pointed at an appetizer, “Three for All” and I announced proudly, “I want the Three For All. I have 2 brothers.” Apparently, I must have made a joke, the statement followed with a burst of laughter at the table. While waiting for our meal, my brothers walked around the restaurant. They were “checking out” the place. I trailed along behind their steps. Behind their back, I saw their hands gestured, waving at me. I waved back but received no response from both of them. Nevertheless, I followed them, skipping along. On the wall, I saw some hanging odd figurines. A telephone and a musical instrument of some sort. Time went by fast. We were then seated back at the table. Our meal arrived. I chewed on the chicken wings. It was spicy but I liked it very much. By the 4th piece, I was full so I gave the plate away to my brothers, as I always do. I then stole a sip of my brother’s “Margarita”. My actions were caught by my mother’s sight but daddy said it was OK. It was just a sip and it is my birthday after all. I laughed cheekily. Suddenly, at the corner of my eye, I saw all the red outfit ladies and men walked to our table. One of them was holding a plate of chocolate cake with a candle on it. The plate was placed in front of me and the group started singing, clapping and dancing! That moment, I sprung out of the seat and joined them. I made a wish and blew the candle off. 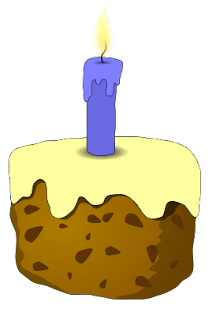 Merely just a birthday song, what was ordinary became very special to me. Few months passed, both my brother flew off to study abroad. My brothers seemed to have grown up very fast. From studying abroad, it became home for them. I could no longer trail behind their steps as my role was taken by their own children now. Each time I walk into Friday’s restaurant on my own high heels, I still see that 9 year old little girl in me walking the path my brothers once “checked out”. 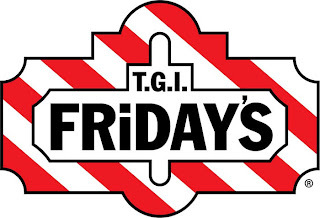 Why I want to eat at Friday’s…. It is not only the food that brought me back, it is not only the people dressed in red outfits, it is not only the free birthday cake, it is not only the “Margaritas”… It is where my sweetest childhood memory is …. with my family. An ordinary dinner at Friday’s made a difference in my life. Sing from your heart and others will hear your soul. I am not a great fan of Wang LeeHom or a fan of any Taiwanese singer to that effect. I don’t even know how to read Chinese, I can barely understand the language. One thing for sure, I am not deaf. I do know how to appreciate fine music. With some help from a major LeeHom fan, I managed to grasps an underlying understanding on LeeHom’s Change Me Album. After listening to the album, I concluded that the major star was suffering from a broken heart. True enough, weeks later the album was released, he was announced experiencing depression. How did I know he has a hole in his heart? I listened to his soul. In general, the songs were composed by the artist himself. Only 2 songs (Make a Change and Cockney Girl) out of the 12 tracks had an upbeat hip hop notes. LeeHom is definitely a hopeless romantic, despite the heart wrenching sad songs, the artist is still hopeful in finding love with song like “Where is love”. A dead give away were the lines ‘home is where you are, where you are is where my heart is’ in ‘Falling leaves”. Obviously, it doesn’t take much to know this album is themed “LOVE”. For those who appreciate instrumental tool, may find the violin and drum set compelling. A violin solo piece in “Falling Leaves” and drum in “Our Song” are showcases of LeeHom’s talent. One can sit solemnly in the private moment and sink with the string and wood tool. Blissful. My favorite title from the album is track 12, “Saturday Midnight”. I was so moved with the musical piece, I had my friend translate the song for me. A short piece yet enough to touch my heart. If you’re in a lovey doovey mood, this album may not have any effect on you. However, if you have recently had a failed relationship and just bought this album, I suggest you buy a pack of tissue paper as precaution. It was quite a perplexing experience for me to witness the journey of a newly married couple. I was very fortunate to have a share, a taste myself. No, I didn’t walk the aisle. I accompanied a recently loving partners do what newly weds do, shopping for their shared home. I never realised there’s so much options for household items. The agenda for the day was on home light fixtures. The journey begins, as we venture to all the home lighting shops. My girlfriend had a list in her hand. On it, it wrote in fine prints, her handwriting so neat. Gosh, the list goes on. As I read her list, I had a mental map on my own house light fixtures. My house lightings are all the same all over! I never bothered looking for fancy ceiling light for my staircase or a chandelier for the dining area. Heck, as long as there’s food on the table, I’m happy. I am not implying that I have no sense of home decoration blood in me. I guess, like I said I never bothered. The window shopping or probably light shopping took us half a day. We bought nothing. At the end of the day, I looked at the couple and found it in my heart. 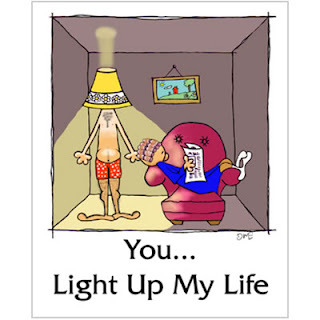 It does not matter what lightings you have at home, she has the biggest bulb shining her way. 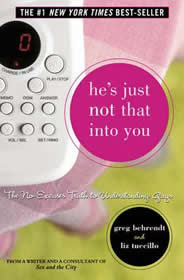 Years back a girlfriend of mine introduced me to this book, He’s Just Not That Into You. She said, “It’s a really entertaining book and there’s alot of truth in it.” It costs me RM30 or less to buy the book and I figured why not humour myself. This book is good for both men and women. For bachelorettes, its a guidebook in deciphering men. For married women, its a reminder that your husband loves you. For bachelors, its a book to raise awareness on how to treat a woman better. For married men, well ..hmmm… I don’t know what its good for, for married men. I guess, humour reading? For more review on this book, check it out from Review Column . I wrote the review, so it’s still my line of thoughts on this book. Stuff I review on Review Column are worth more than 2 cents. So, if you like my style of writing, please feel free to bookmark Review Column.